(Leer en español) How hot! The thermometer is close 30 degrees in Seville and the body asks a cold beer at night. To emerge victorious from these temperatures, nothing better than having a good time chatting with friends and family in the summer terraces in Seville, What’s your favorite? 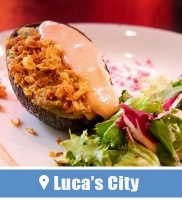 We have chosen some for its atmosphere and location, to propose a good plan on hot days still left this summer. Areas such as El Salvador or Alfalfa and Cathedral or Patio de los Naranjos are very popular on Sevillian nights. We present some of their summer terraces. 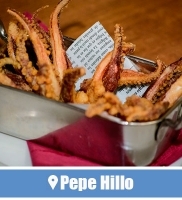 Although they are open from mid-morning and you can enjoy cold tapas, lunch or drinks throughout the afternoon, we highlight this selection to enjoy the cool night in a pleasant dining atmosphere. You can beat the heat in Seville. One of the most popular summer terraces in Seville. 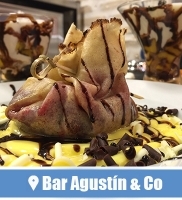 What was once known as bar drinks among all Sevillian, became one of the best positioned and prepared bars to teach Andalusian cuisine to all visitors. With a loyal clientele, also welcomes people all over the world that wanting to know the culture and tradition of Seville. In the Argote de Molina street, known as the Cuesta del Bacalao (cod slope), directly opposite the entrance to the Patio de los Naranjos of the Cathedral, is Antigüedades summer terrace where you can enjoy daily dinner and the best atmosphere in Seville Downtown. Also on a street that goes directly from the Cathedral, the popular Mateos Gago Street. 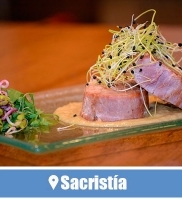 A hot spot to know Sevillian gastronomy, with several of the best known bars in Seville. 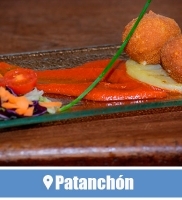 We highlight Patanchón because of the wide terrace compared with the rest of the area. 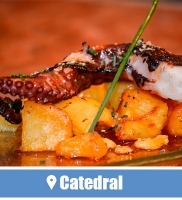 Located in the perpendicular Angeles Street, it allows dine overlooking the Giralda and popular transit of Mateos Gago. 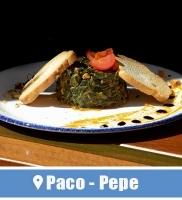 Specialized in traditional food, they have almost a hundred tapas to choose for dinner every day. 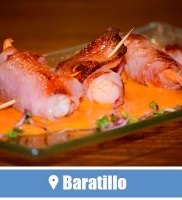 All with the flavour and taste of a cold beer or glass of their large selection of Spanish wine. We’ve already talked about this new bar in Seville. 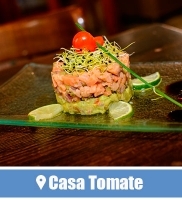 In a prime location overlooking the El Salvador Square, is this tapas and drinks bar for young people in Seville. A great multicultural atmosphere and carefully decorated in homage to artistic photography of the last century. The small summer terrace has the cosmopolitan charm of its interior, but allows to breathe fresh air in the Sevillian nights. 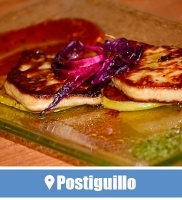 Agustín is for to enjoy dinner on the terrace with the company of El Salvador and its innovative cuisine. 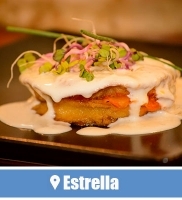 Also in El Salvador, is already a fixed (new-look) of culture of Seville. 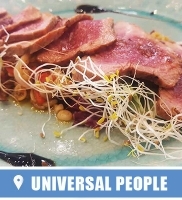 Universal People also open for lunch and tapas. The service continues throughout the afternoon. 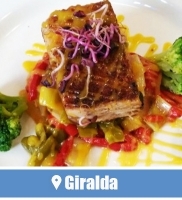 Specialized in traditional Andalusian cuisine in its menu you will find dishes from around the world. When summer arrives in Seville, Universal People allows you to enjoy the nightlife of the Square dining from the comfort of their small terrace. Other style. Until now we have seen summer terraces for dinner sitting quietly. Donaire is different. Although there are also family tables, we can take a snack or tapas on the high tables. 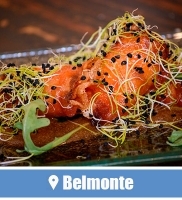 It is the best for to enjoy the Alfalfa party atmosphere. 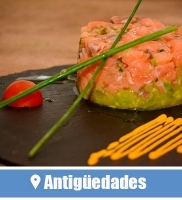 A bar with decades of history, specialized for seafood dinner and Andalusian tapas in the hippest night area. The weather and cheerful nature of Sevillian people invite to go outside and not suffer the heat at home. Enjoy evenings on the summer terraces of Seville, do it in moderation and take one to our health. Cheers!